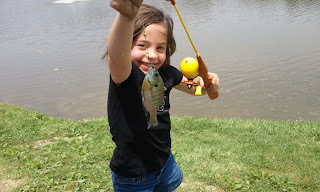 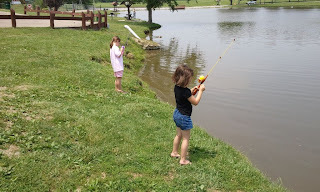 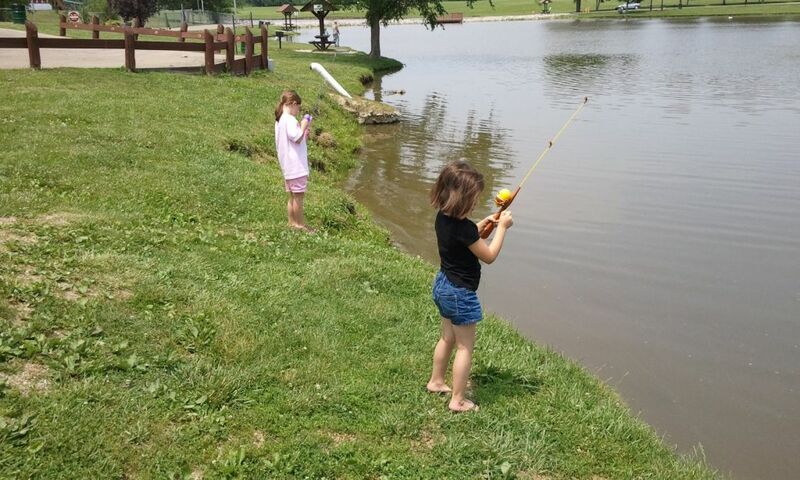 This afternoon was spent with my daughters and fishing at West City park. 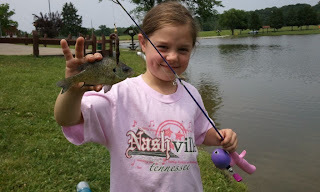 It only took us 36 worms and several hooks, however each girl reeled 3 fish a piece in. 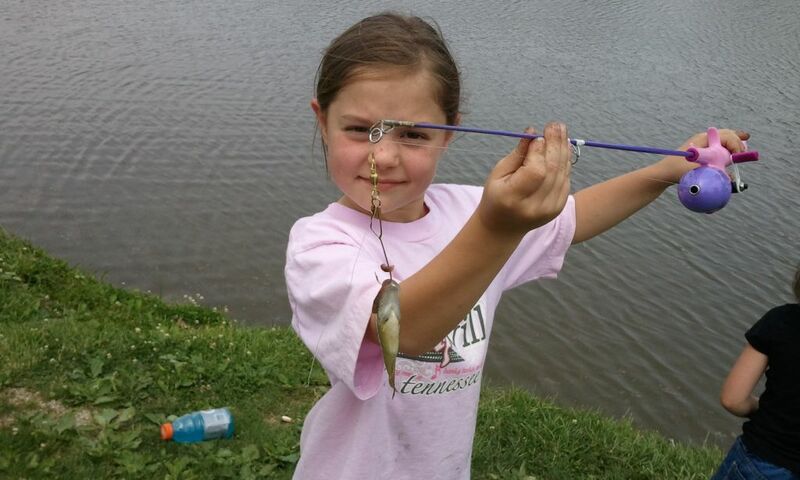 Marli had a 4th but it got away before she could get it in. 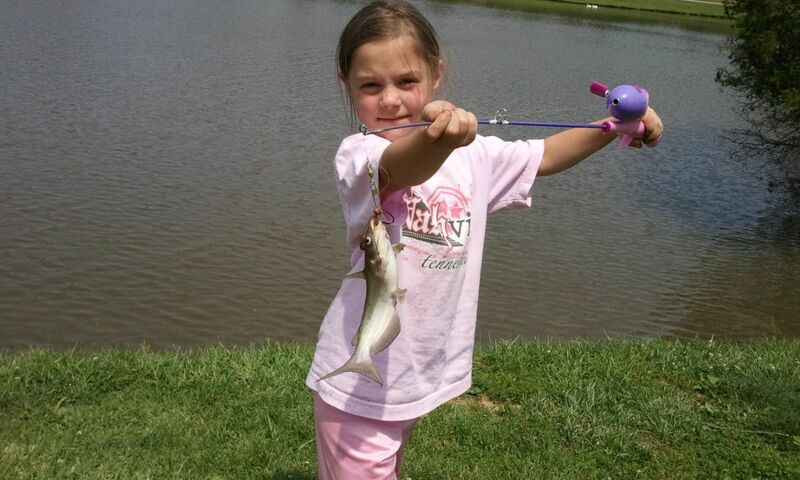 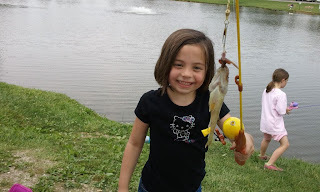 This was the girls' first fish they had ever caught. 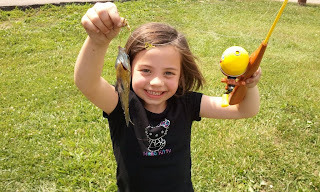 I am not sure if they have stopped giggling yet. 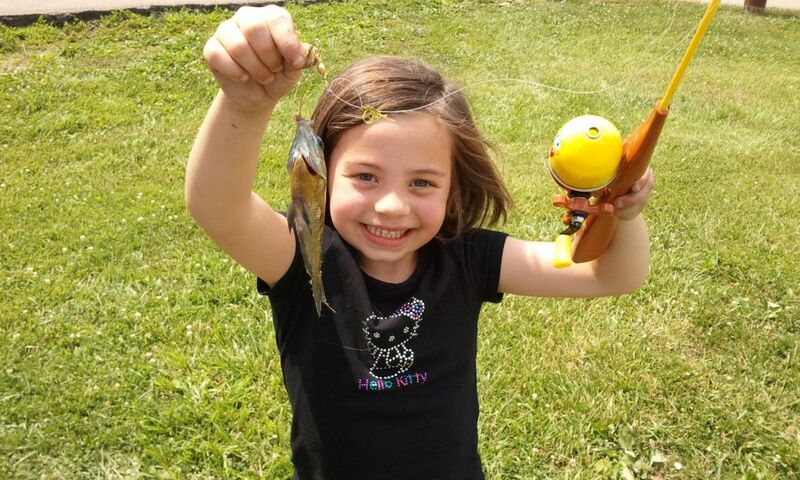 These are the pictures of the day.